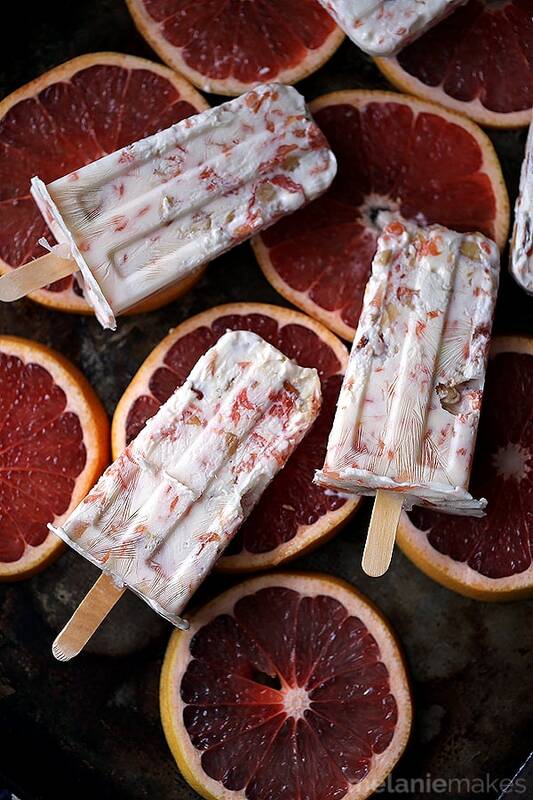 Stock your freezer with these Honey Roasted Grapefruit Parfait Popsicles. A five ingredient parfait becomes an anytime, anywhere treat when it’s transformed into a popsicle. 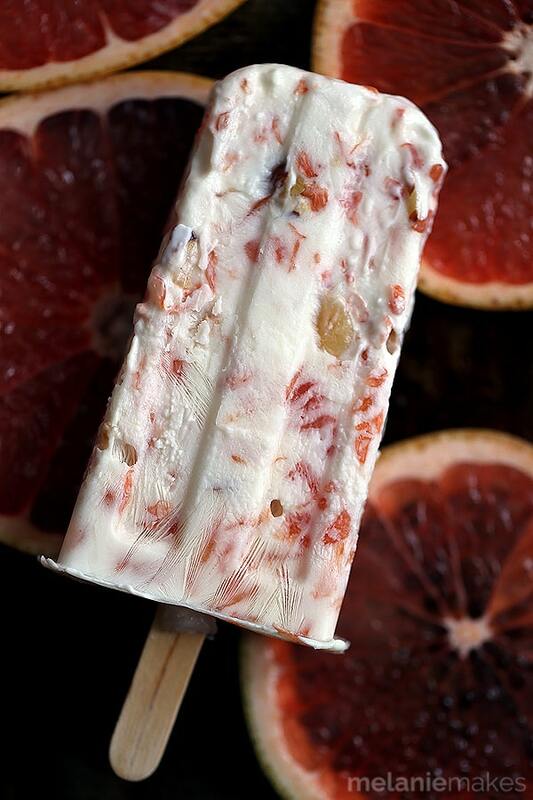 Roasted grapefruit segments, honey, almonds and yogurt create this amazingly flavorful seasonal treat suitable for breakfast or any time of day. I love fruit, really I do. It’s just that the majority of them are what I call “high maintenance” fruit. You have to peel them, you have to cut them, take out the pit – it’s a lot of work for little return. It’s not that I’m lazy, it’s just that I’m impatient. In this category I’m including my seasonal favorite, the grapefruit. Insanely delicious, yet so absolutely time consuming every time I want to enjoy one. So I decided to do something about it. As the menagerie were enjoying their afternoon snack, I cut three grapefruit into segments and then did what I do to almost anything when I want to bring out it’s flavor just a bit more. I roasted it. Please tell me I’m not the only one who things all things taste better roasted? 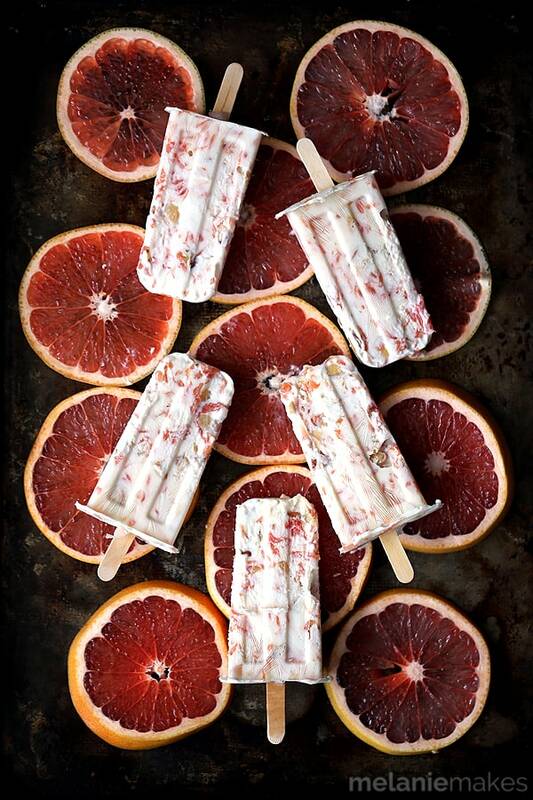 My initial plan was to throw my roasted grapefruit segments in the fridge for easy to make parfaits whenever I had a craving but then decided to take it a bit further and instead made my parfaits into popsicles. In the freezer, at the ready and simply waiting to be enjoyed. No additional work required. A five ingredient parfait becomes an anytime, anywhere treat when it’s transformed into a popsicle. Instead of a typical yogurt parfait, I used Silk Dairy-Free Yogurt Alternative. Smooth and creamy, yet free of dairy, cholesterol, and artificial flavors and colors. 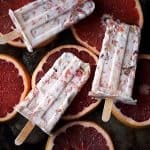 I particularly like the fact that it contains 6 grams of plant-powered protein per serving and is also an awesome source of calcium and vitamin D.
Stock your freezer with these Honey Roasted Grapefruit Parfait Popsicles. A five ingredient parfait becomes an anytime, anywhere treat when it’s transformed into a popsicle. On a parchment or silicone mat lined baking sheet, place grapefruit wedges. Sprinkle with sugar. Bake for 20-25 minutes until beginning to caramelize. 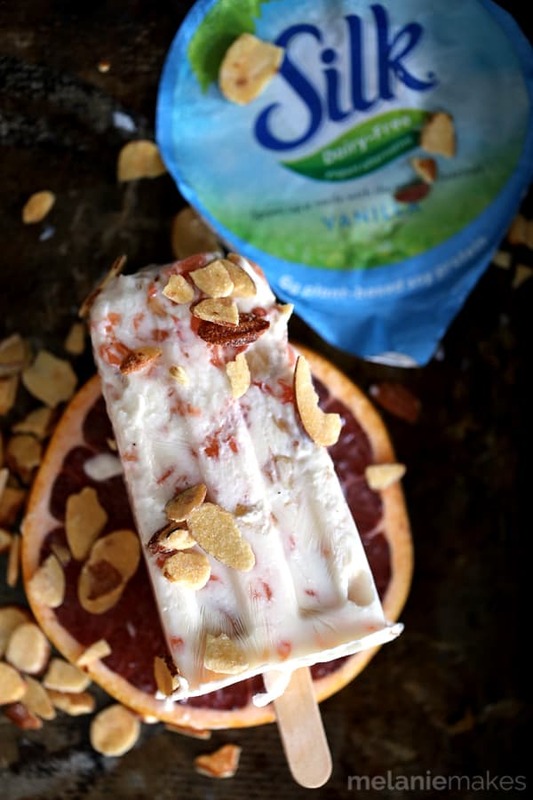 In a large bowl, stir together Silk Dairy-Free Yogurt Alternative, honey, almonds and grapefruit. 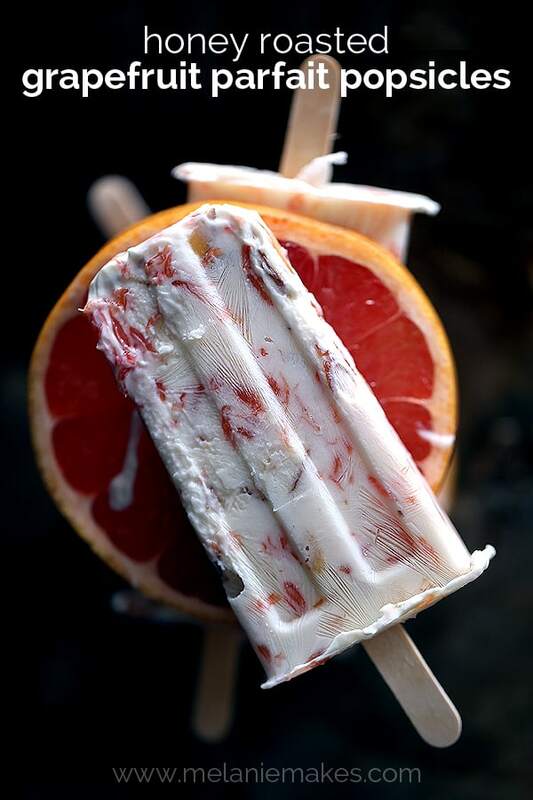 Pour into popsicle mold and freeze according to manufacturer directions. 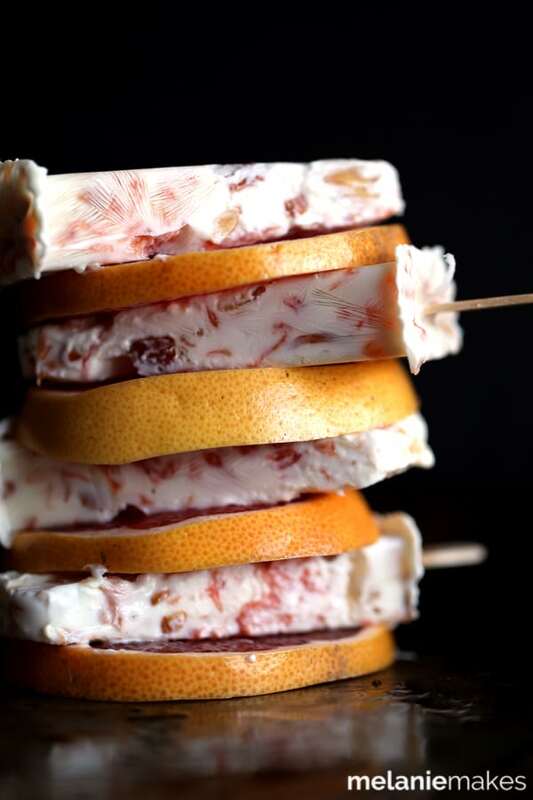 The only bad thing about my Honey Roasted Grapefruit Parfait Popsicles? My children have discovered my stash in the freezer and have decided it’s pretty awesome to be able to eat popsicles for breakfast. I guess that means I have to share.